Secure delivery of comprehensive telematics data for developers. A leading customer relationship tool for mobility service providers. Our complete 'White Label' telematics suite; launch within a few days! Physical, and financial management of high volume deployments. ULU is the technology partner to the automotive industry. Through the use of our technology, our customers can provide new services and gain access to new data sources to stay relevant in a rapidly evolving market. We help to transform local heroes into next-generation Mobility Service Providers. ULU. Providing end-to-end vehicle based IOT solutions. Let’s turn it up a notch. The automotive industry is changing fast and emerging technologies are reshaping traditional business models while you are reading this. By 2025, it is expected that 85% of vehicles will be ‘connected’ to a cloud service that offers customer specific content and information. The age of digitalisation however, also brings a wealth of opportunity for traditional automotive businesses to grow. That’s where we come in. With our innovative propositions, we’ve created truly end-to-end solutions, that focus on your customers with a highly distinctive user experience. Our advanced telematics hardware has been designed to extract integral vehicle health information as well as location related data. This information is then sent via extremely secure, encrypted communication to our processing platform. Once the data has been processed we can either send it to your custom endpoint, or to a full-stack application developed by us, exclusively for you. Our holistic approach to web and mobile app development allows for a seamless end-user experience. CRUDE is the process of extracting data from a vehicle, passing it through our data pipeline and then delivering the crude (RAW) data to your endpoint. You can then refine (process) the data how you see fit for your operation. FUEL is the process of extracting data from a vehicle, passing it through our data pipeline, refining (processing) the data and then offering a comprehensive API to power a new or already existing automotive based solution. Fuelling your operation further. Jump on the Telematics Bandwagon. A relevant driving app for your customers, which will benefit them throughout the day. By offering an intuitive app that offers real assistance, you will subliminally remain at the forefront of your customers’ tasks. Monitor real-time mileage, respond to error codes or maintenance needs and analyse their fuel consumption. Monitor real-time mileages, error codes, maintenance needs and respond to necessary part replacements. 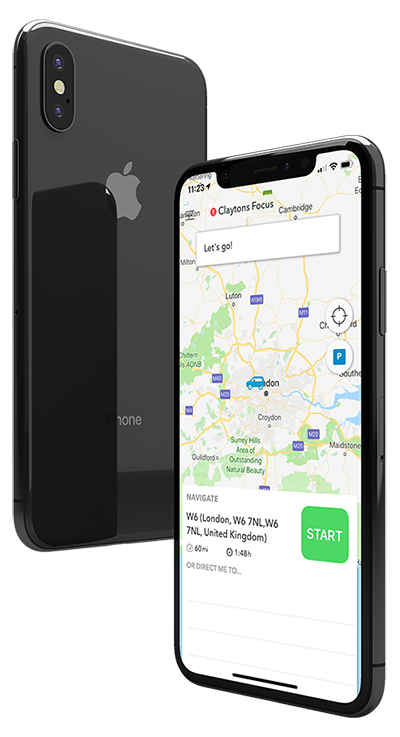 Offer your own telematics solution and connect your private and business lease drivers. Improve your customer satisfaction and loyalty by implementing your own connected vehicle strategy. A fair insurance premium based on your own behaviour? Who wouldn’t want to be in control of their own insurance? ULU’s technology allows insurance companies to offer behaviour-based premiums. The better you drive, the higher your discount. The better your customers drive, the lower the amount of claims.